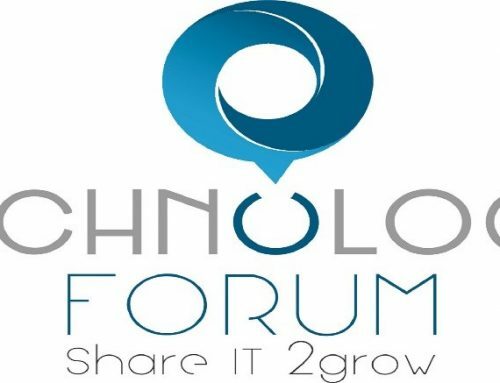 The 5th Technology Forum (www.technology-forum.eu) took place in Thessaloniki, at the Aristotle University of Thessaloniki on 16 May 2018 with more than 250 registered participants. This year, the event went international with representatives of the ICT sector from the Balkans and Black Sea, as well as CEBIT. 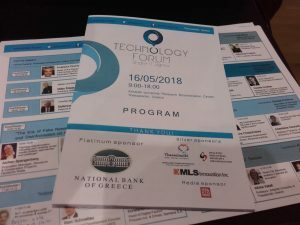 The presentation on “Key enabling blockchain technologies for the Internet of Things ecosystem” by Dr. Dimosthenis Ioannidis in the Blockchain session attracted the attention of the audience and kick-started a discussion on the technology usage in industrial applications. Moreover, during the B2B Matchmaking Event, ATLANTIS Engineering had the opportunity to meet with representatives of the private sector and of the research community, sharing the collaborative manufacturing vision and receiving valuable comments. The three participating partners, ATLANTIS, CERTH and KLEMANN, renewed the appointment for next year.